With Flightradar24 you have always been able to see where aircraft are flying. 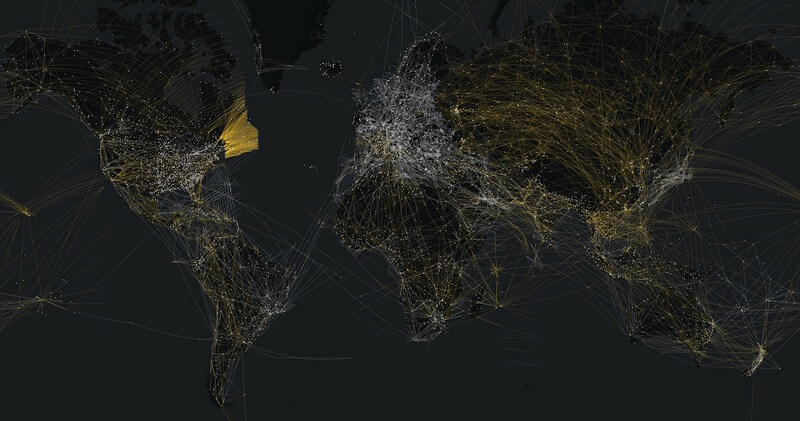 With our latest addition of aeronautical charts, you’re now able to see why they’re flying there. While the shortest distance between two points is a straight line, flights don’t actually travel directly from airport to airport. Commercial aircraft use a system of waypoints, navigational aids, and airways to navigate through the sky safely and efficiently. Those waypoints and airways are now available to our users with a Gold or Business subscription. There are actually three layers of navigational aids now available. Aeronautical charts and waypoints are joining our existing oceanic tracks and FIR/UIR boundaries, which denote areas of air traffic control responsibility. Each of these layers may be enabled in the Layers tab under Settings on the right side of the page on flightradar24.com or under Settings in our app. The charts in Flightradar24 are divided into High Altitude charts, Low Altitude charts, and navaids. Each chart also includes all waypoints and Navaids. Yellow routes in the charts are Officially Designated Airways and white routes are new RNAV airways that make use of satellite-based navigation equipment to make aircraft routing more efficient. The name of the route is listed above the line and the number below the line is the distance between waypoints on that particular route. Waypoints are noted with a five-letter name and can often have some meaning to the area in which they are located, like the waypoints JELLI, FISHA, and PRAWN off the east coast of Australia near Sydney. For an example of how charts can be useful in understanding flight paths, ANA cargo flight 8541 is instructive. In the image below, the solid line is the actual flight path between Tokyo-Narita and Qingdao and the red dotted line is the shortest Great Circle distance. When we overlay the charts onto the flight, the path begins to make much more sense. Notice how the flight follows the air routes, making turns at waypoints and route intersections. 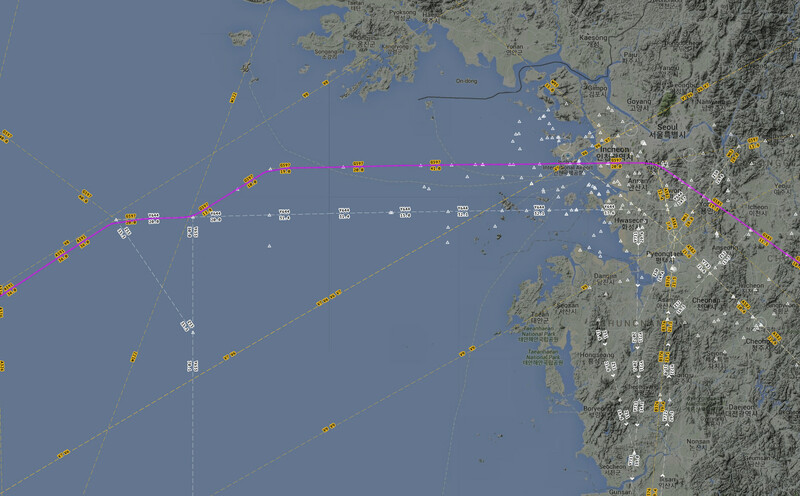 When we zoom in on the area near Seoul, it’s possible to see the particular routes and waypoints used by the flight. Air traffic control areas of responsibility are divided into Flight Information Regions and Upper Information Regions (for high-altitude flight). When the ATC Boundaries layer is enabled, these are denoted by red lines on the map. 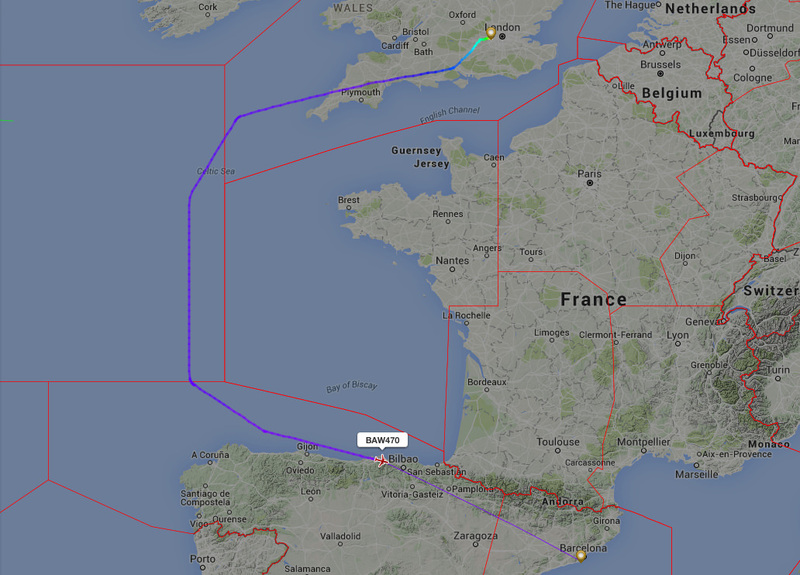 A British Airways flight avoiding French airspace due to an Air traffic controllers strike. To see the name of an FIR or UIR, just Ctrl+Click (Cmd+Click on a Mac) on the area of interest. Oceanic Tracks on Flightradar24 come from three separate Organized Track Systems, the North Atlantic (NAT-OTS), Pacific (PACOTS), and Australian OTS (AUS-OTS). These three systems were developed to enable safe and efficient navigation across areas where air traffic control radar coverage is limited. The tracks in use vary depending mostly on the position of the jet stream. North Atlantic Tracks are published twice daily by Shanwick and Gander air traffic control centers, once for westbound tracks and once for eastbound tracks. There may be periods between the issuance of one set of tracks and another where there are no valid tracks. 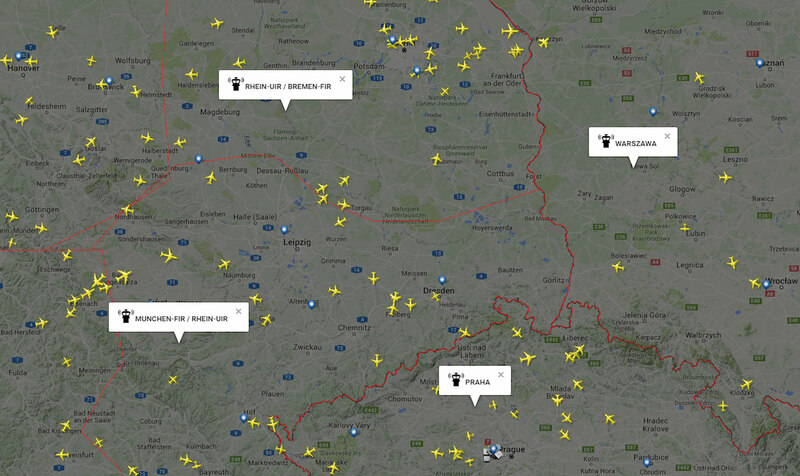 During such periods, tracks will not show in Flightradar24. 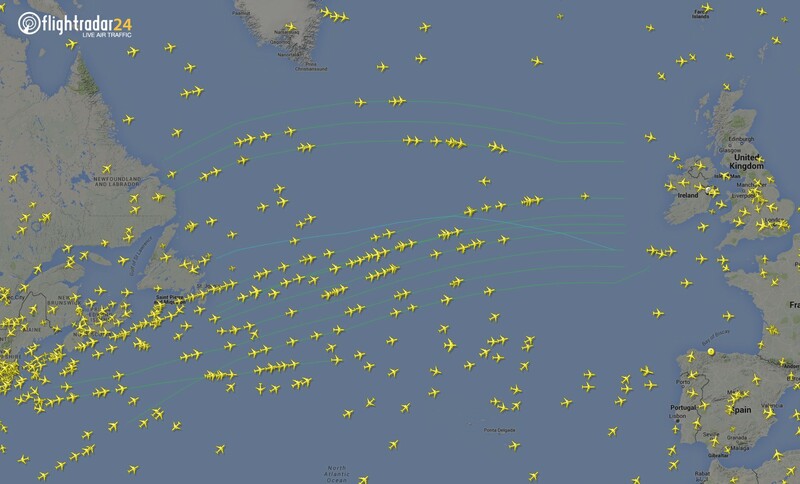 For a look at how flights travel across the North Atlantic on the NAT-OTS, see our time lapse of 24 hours of North Atlantic traffic. Note: Navigational charts are for informational purposes only and are not to be used for navigation.